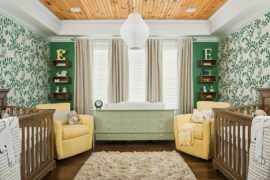 Inspired by the changing colors and scenery outside? 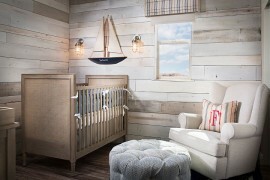 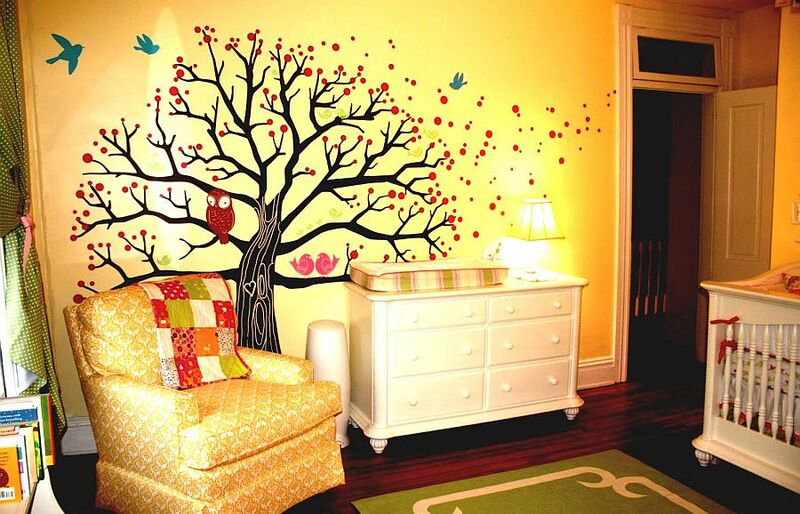 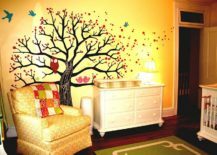 Wish to revamp the nursery by ushering in a bit of fall festivity without altering its existing style? 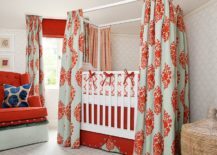 There are few ways better (if any) to do this than to turn to the perennial charm of orange – a cheerful allure that seems even more obvious as the festive season starts to roll in each year! 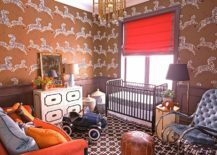 Orange is no longer viewed as a risky color use in home design thanks to neutral modern interiors that offer a clean and light-filled backdrop. 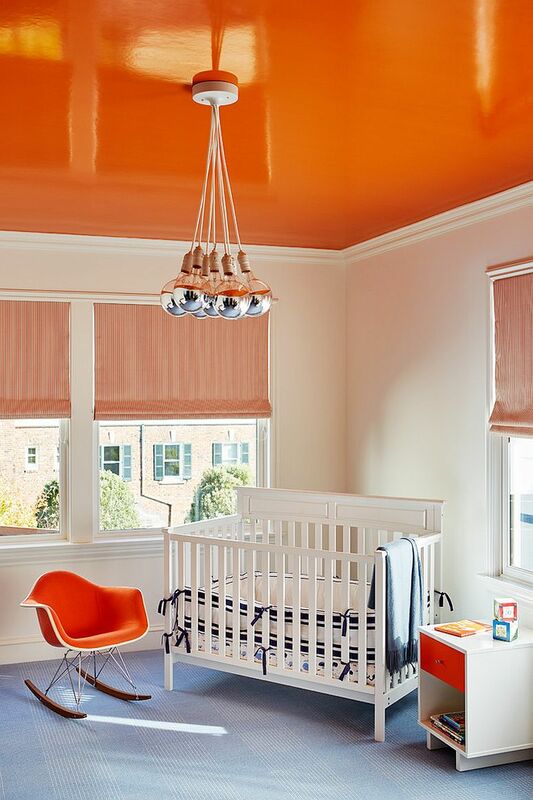 In the modern nursery, orange can add brightness, polished charm, a sense of playfulness and a dramatic striking point. 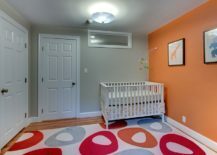 Painting the walls orange in the nursery might feel like a risky option on the face of it, but it is far less perilous when you look at all the shades of orange available and the many finishes you can pick from. 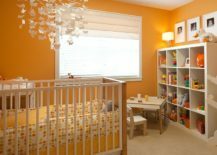 The more orange you use in the nursery, the more matte the finish needs to be! 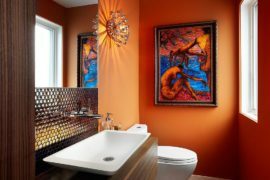 It is best to reserve glossy orange finishes to places where it is used in moderation. 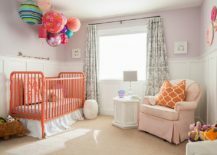 Also consider pastel hues in orange and trendy colors like coral instead of brighter orange hues to give the nursery a contemporary chic vibe. 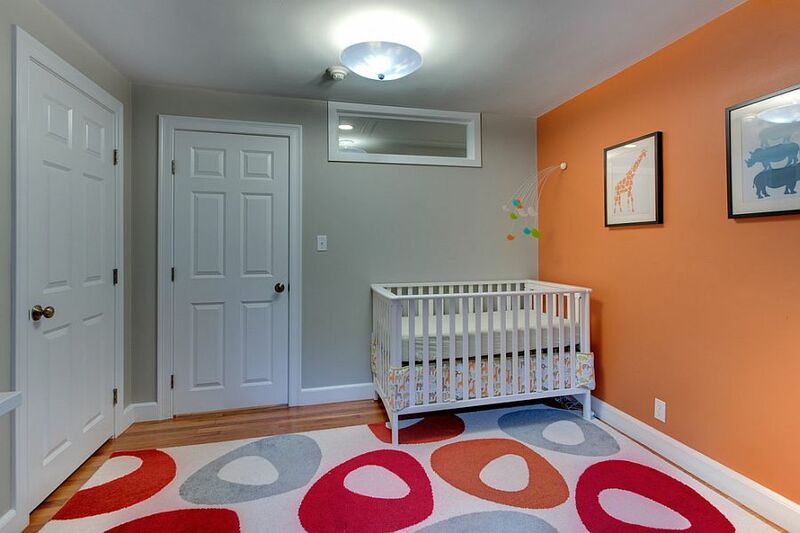 Orange works well with both black and white accents with the former anchoring a large nursery and the latter providing visual spaciousness in small rooms. 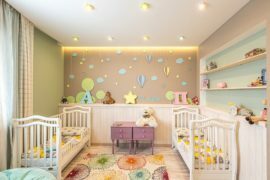 Lighting play a key role in the orange nursery and an even, understated lighting plan provides the best way forward. 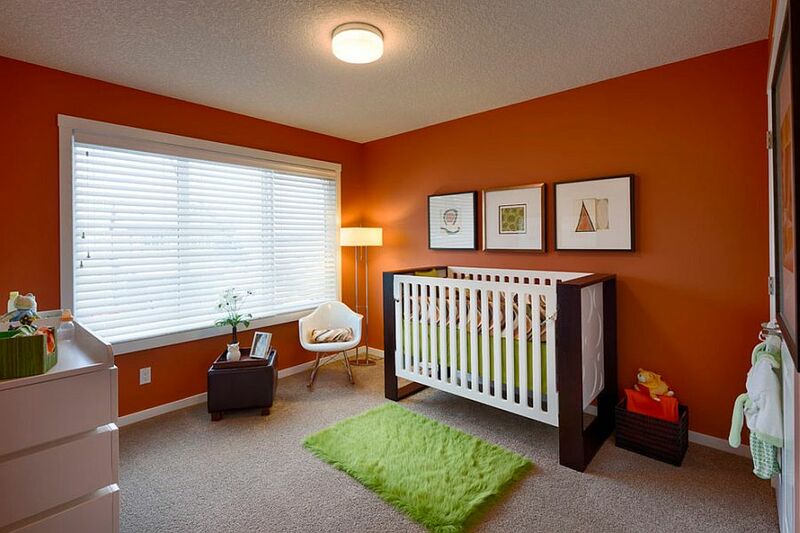 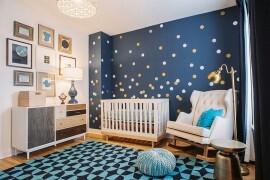 Too much of light in an already bright nursery can disturb your little one’s sleep cycle and create a disruptive mood. 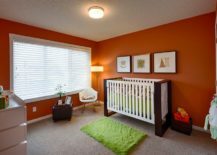 Not really interested in committing to orange on a medium term basis? 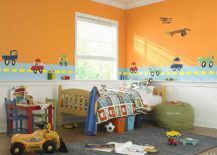 Not to fret as there are ways beyond painting the walls that let you try out orangey zest without going overboard. 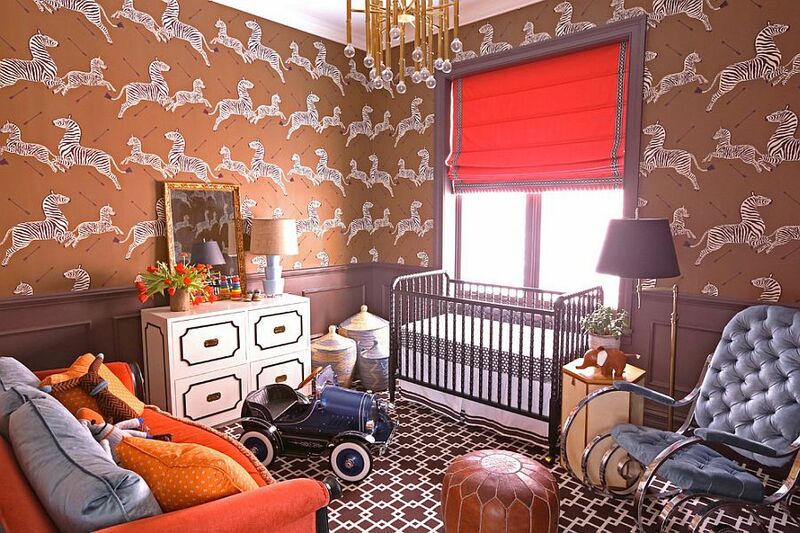 Rugs and drapes are a popular choice in this department and make a visual impact as big as walls painted in orange. 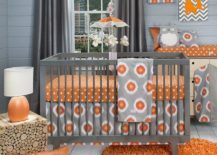 Since the nursery demands a quality rug and some nice drapes, this is the easiest way to add a large splash of orange without altering the backdrop of the room. 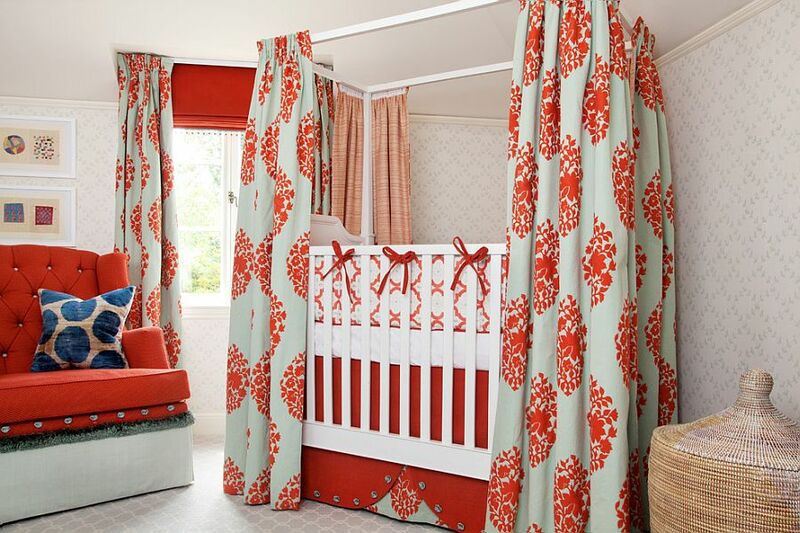 Cribs in orange, bedding with motifs in coral or décor in light, pastel orange are your next best alternatives. 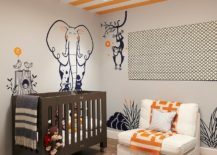 Make sure that the rest of the nursery is as neutral as possible while adding décor in orange; even if you are aiming for an eclectic look. 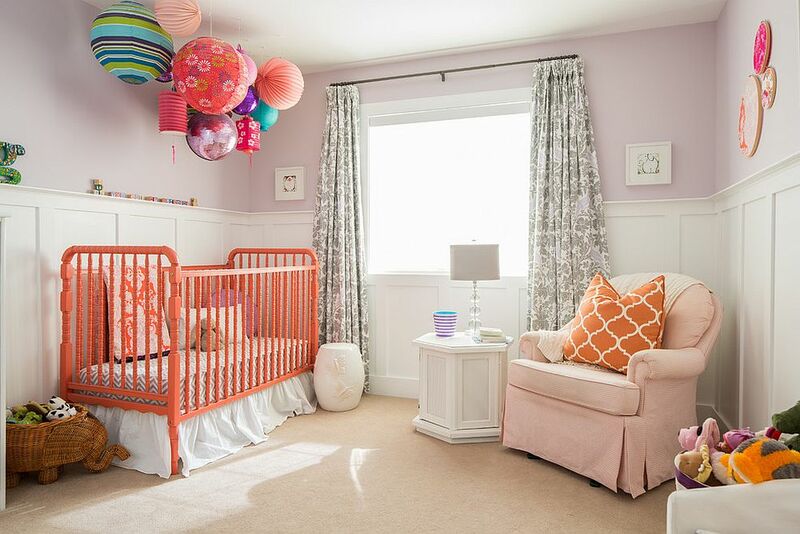 Too many colors can create a disjointed look that also takes away from quality sleep time of the little one. 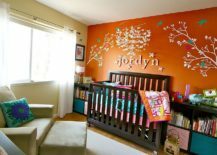 Finally we move on to an idea that is the most popular among homeowners when it comes to trying out new colors and hot seasonal trends – the loyal accent wall! 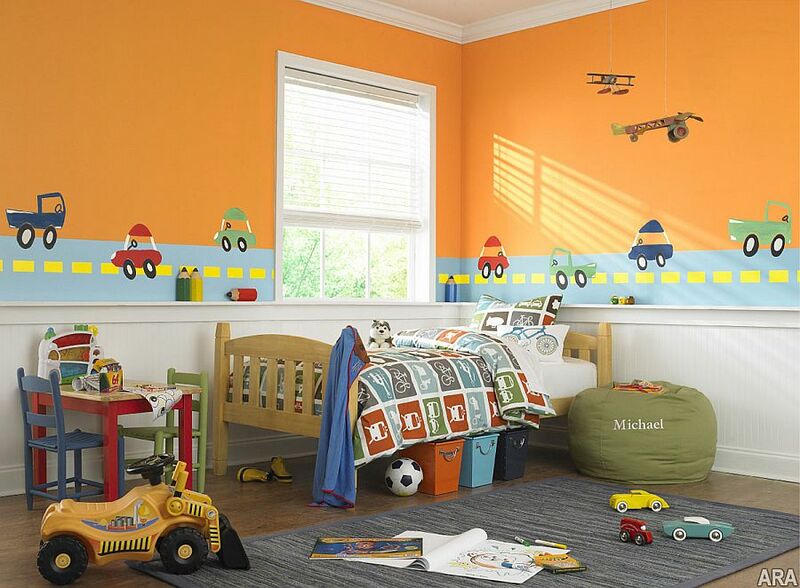 The nursery is no exception and a perky orange wall in a nursery in white or grey commands plenty of attention. 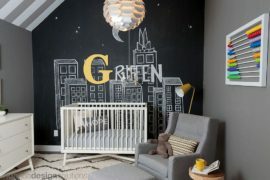 Couple it with black wall murals and you have an interesting focal point that will keep the inquisitive tiny tot in the room engrossed as well. 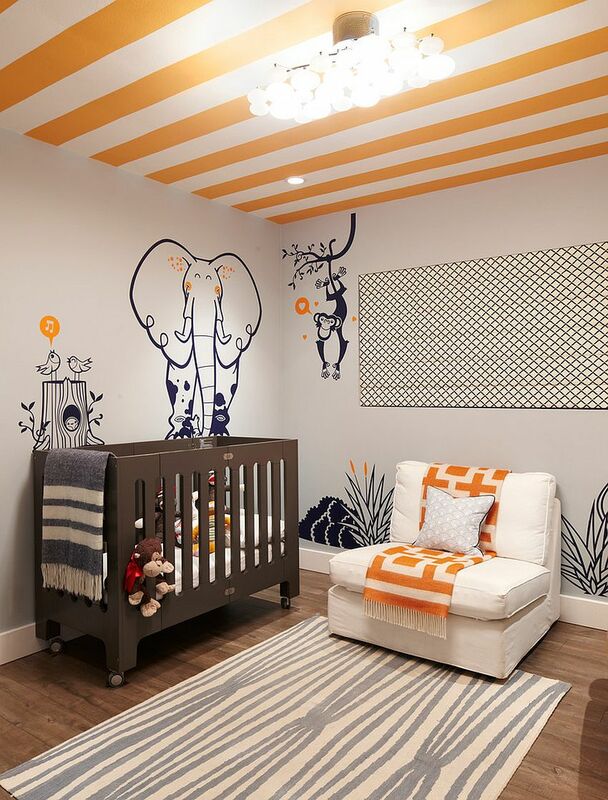 But an even better idea is the orange ceiling – a part of the room that your baby is likely to see the most! 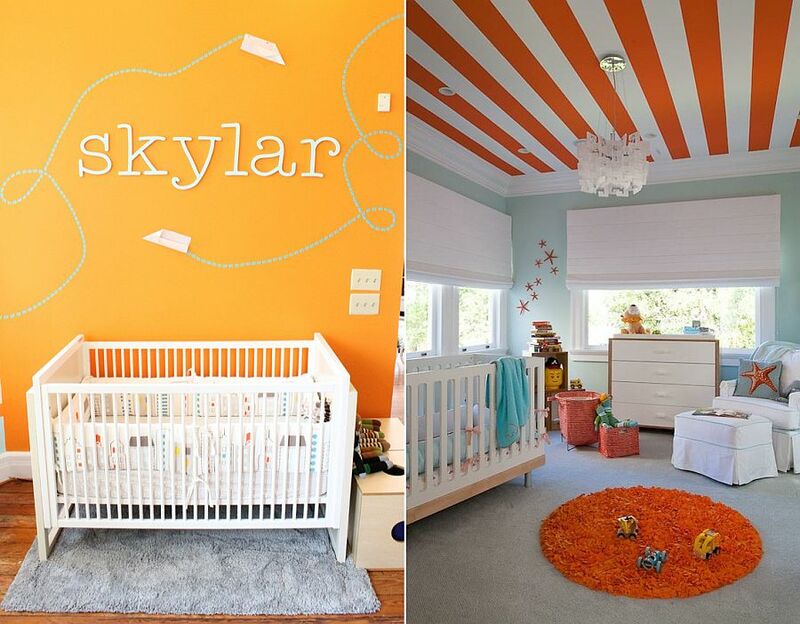 It is time to get creative with the ceiling in nursery and orange offers a bold and spunky way to do that.